Izhar is using Smore newsletters to spread the word online. The main purpose is to reduce or prevent exposure to dangerous hazards that a worker may face in the workplace (i.e. 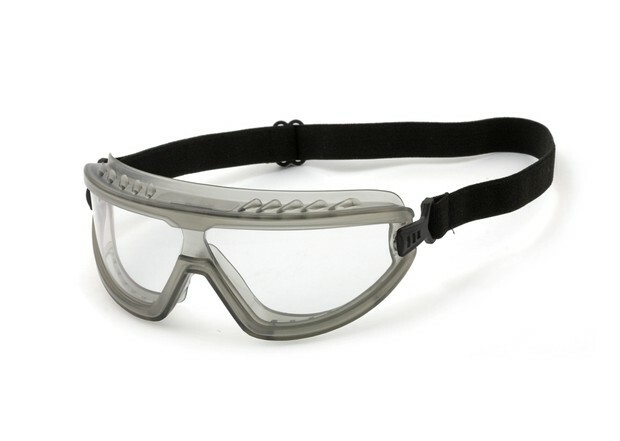 goggles to protect your eyes from flying objects or particles). Hearing Protection - To protect a persons ears from exposure to noise levels that exceed 85 decibels. Respiratory Protection - Used in situations where there is an atmospheric hazard. The type of respirator matters because if you're wearing the wrong one it can be as bad as not wearing on at all. Eye Protection - To protect a persons eyes from flying objects, particles, liquids/sprays or other materials that may enter the eyes. Foot Protection - Usually steel-toed boots but they may need to also be water proof and slip resistant incase you are working in a wet environment. Hand Protection - Gloves are important because they help protect your hands from materials that you may have to deal. Specific types of gloves must be used to deal with different hazards. Head Protection - Must be worn where there are hazards such as slipping and falling and/or the possibility of falling objects. They should also be worn in confined areas where the ceiling may be low. Body Protection - Should be worn when using dangerous equipment such as a chainsaw or when handling hazardous chemicals. Fall Protection - Safety belts and harnesses that help ensure safety where there is a chance of falling from a height.